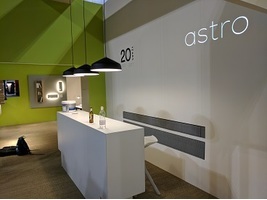 Each sale of products ("Products") by Astro Lighting Inc. ("Astro") to a customer (referred to herein as "you" or the "Buyer") is expressly made conditional on Buyer's assent to these Terms and Conditions of Sale (the "Terms and Conditions"). These Terms and Conditions, together with each Astro issued invoice ("Invoice") shall constitute a binding contract between Astro and you (the "Contract"). Buyer acknowledges and agrees that the Contract supersedes the terms and conditions of any documentation provided by Buyer and any conflicting or additional terms and/or conditions are expressly rejected by Astro and are null and void. In the event there is an inconsistency between these terms and conditions and the Invoice, the terms of the Invoice shall prevail. These Terms and Conditions shall apply to this purchase and all of your future purchases, unless Astro requires that you execute a new set of terms and conditions as a condition to accepting any subsequent orders for Products from you. PRICES. All prices are as set forth on the applicable Invoice and shall be exclusive of shipping and handling charges, insurance, all taxes, crating, installation, custom duties and other charges related thereto. Buyer shall be responsible for all such charges unless otherwise provided herein. Any advance price quotes provided by Astro shall not be binding on Astro and are subject to change. ACCEPTANCE OF ORDERS. 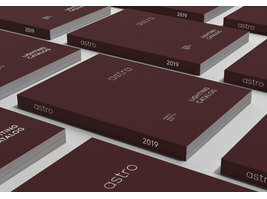 All orders of Buyer are subject to Astro's written acceptance, which acceptance shall set forth the delivery date or dates and the description and quantity of the Products which are to be delivered on each of such dates. Astro's commencement of delivery of the Products ordered by Buyer and Buyer's acceptance of such deliveries shall constitute a firm contract under these Terms and Conditions. Purchase orders that have not been accepted by Astro in writing within one (1) week shall be deemed automatically rejected by Astro. PAYMENT. All orders must be paid for by check or wire transfer to a bank account to be notified in writing by Astro to Buyer. Payment shall be due within thirty (30) days from the last day of the month in which the Invoice is dated. Interest in the amount of four percent (4%) per year, or the highest rate allowed by law, whichever is less, shall apply on all past due balances until such balances are fully paid. Should it become necessary for Astro to collect any past due balances by legal proceedings or otherwise, Buyer agrees to pay all costs of collection, including, without limitation, reasonable attorney's fees and court costs, incurred by Astro. In the event of Buyer's failure to timely pay any Invoice, Astro may require that Buyer make advance payments on all future orders and may withhold delivery with respect to any orders or partial orders not yet shipped. In the event that payment is made by check, Astro may at its option wait for the funds to clear before processing the order and/or commencing production. SHIPPING AND DELIVERY; INSTALLATION. Unless otherwise requested by Buyer and agreed to by Astro in writing, Astro will ship Products by the method of shipping it deems satisfactory based upon convenience, experience and cost to the account address or the registered business address of Buyer. Buyer shall be responsible for all shipping-related fees, and Astro shall be responsible for all applicable handling fees directly incurred by Astro in connection with its performance hereunder. Notwithstanding the foregoing, Astro shall offer free shipping to Buyer on any order submitted by Buyer in the amount of Four Thousand U.S. Dollars ($4,000) or more (the "Free Shipping Threshold"). 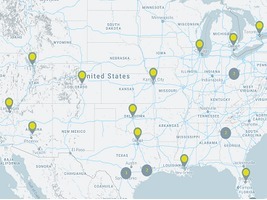 In connection with the Free Shipping Threshold, orders may not be combined, nor may an order be separated into multiple shipments; each single order amounting to Four Thousand U.S. Dollars ($4,000) or more shall be eligible for free shipping as long as the order is shipped in one (1) shipment. Astro reserves the right to make partial shipments of the Buyer's sales order and furnish separate Invoices for each partial sales order shipped. Buyer understands and agrees that all delivery times provided for in the sales order confirmation(s) or Invoice(s) represent approximate delivery times and that actual delivery times may vary. Astro shall not be liable for any damages (including, without limitation, any incidental or consequential damages) arising from its failure to deliver or delay in delivering the Products. Unless otherwise agreed to by the parties in writing, the Buyer assumes all responsibility for the proper installation of the Products and Astro shall not be responsible in any manner for any damages to the Products or the property relating to such Buyer or third-party installation. 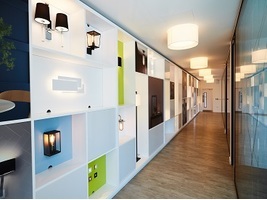 STORAGE FEES; FAILURE TO ACCEPT DELIVERY; RISK OF LOSS. Products not accepted or for which delivery is rejected by the Buyer will, at the option of Astro, be transferred to a warehouse for storage. Buyer shall assume the risk of loss and shall be responsible (and shall be invoiced by Astro) for all costs and expenses incurred by Astro as a result of Buyer's rejection or failure to accept delivery of the Products on the dates specified by Astro, including, but not limited to storage fees, demurrage charges and any transportation, insurance or warehousing related costs. Astro retains title to all Products until fully paid for by Buyer. In addition to the foregoing, in the event Buyer fails to accept delivery of the Products within three (3) months of the original scheduled delivery date, Astro will have the right to retain all sums paid by the Buyer and may dispose of the Products as we see fit, including via resale, and you shall have no further rights or title therein; provided, however, that you shall remain responsible for the costs of any storage fees related to the storage of Products. Astro Products are inspected at an Astro designated warehouse before shipment to Buyer. Astro insures the Products and assumes the risk of loss or damage during transit. RETURNS; MODIFCATIONS; CANCELLATIONS. No Product may be returned or exchanged, nor may any order be canceled, withdrawn or modified, without the prior written consent of Astro, which consent may be conditioned or withheld at Astro's sole and exclusive discretion. As a general policy, Astro shall not permit returns or cancellations on custom orders or discounted orders; provided, however, that Astro reserves the right to grant or refuse returns on any orders whatsoever at its sole and exclusive discretion. Returns of Products will not be considered unless the Products are in their original packaging, in new and saleable condition. Buyer's return of Products, when permitted, must be freight prepaid at Buyer's sole cost and expense, and all returns will be subject to a thirty percent (30%) restocking fee. INSPECTION; CLAIMS. Buyer shall inspect the Products immediately upon receipt thereof. Any and all claims that a Product or Products are defective or damaged must be reported to Astro in writing within five (5) days of delivery; all claims against Astro for quantity discrepancies or other non-conformities must be reported to Astro in writing within three (3) days of delivery. Failure to make a timely claim pursuant to this Section 7 shall constitute an irrevocable acceptance of the Products by Buyer. Buyer's exclusive remedy for any defect in delivery may be limited, at Astro's option, to Astro's repair or replacement within a reasonable time of any non-conforming Products. PRODUCT CHANGES. Astro reserves the right to modify or discontinue any Product design and change any technical specifications of any Products at any time without notice to you. 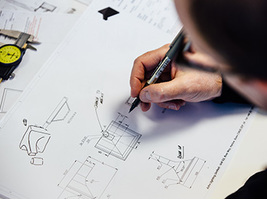 Accordingly, you understand and acknowledge that some minor design changes may be made during the manufacturing process. 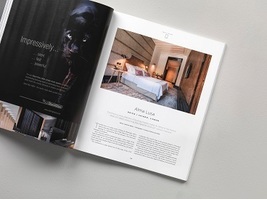 DRAWINGS AND DESIGNS; SAMPLES. Buyer acknowledges and agrees that any drawings and/or designs created by Astro ("Shop Drawings") along with any other rights related thereto shall be and shall remain the sole and exclusive property of Astro. Buyer shall not to use any such Shop Drawings for any reason, including in connection with the purchase or manufacture of products from or by anyone other than Astro, without first receiving the express written consent of Astro. Buyer further acknowledges and agrees that any and all Shop Drawings created by Astro are for informational purposes only and that Buyer shall not rely on the Shop Drawings for, inter alia, the measurements, materials, design or installation of the Products described or illustrated therein. Astro makes no representations or warranties regarding the accuracy or precision of Shop Drawings and disclaims all liability for Buyer's reliance thereon, or reliance thereon by Buyer's contractors, architects or other agents or employees. Buyer acknowledges and agrees that where a sample of a Product has been shown to and/or inspected by Buyer, the sole purpose of doing so was to enable Buyer to inspect the Product and the provision of such sample does not constitute a sale by sample, a representation, guaranty and/or warranty that the Products sold to Buyer will conform to the sample and Astro expressly disclaims all liability. BUYER SPECIFICATIONS. Where any Products are manufactured in accordance with plans, drawings, measurements or specifications furnished by Buyer (collectively referred to herein as "Specifications"), Buyer must provide such Specifications to Astro in writing. Buyer acknowledges and agrees that Astro may rely on, and assume the accuracy of, all Specifications provided by Buyer, including measurements set forth therein, and Buyer further agrees that Astro shall not be responsible for any inaccuracies in the Products arising out of Astro's reliance upon inaccurate measurements provided by Buyer in its Specifications. Buyer shall indemnify, defend and hold Astro harmless from all loss, damage, claims, actions, fines and any other expense, including reasonable attorneys' fees and expenses arising from or relating to such Specifications, including but not limited to claims brought by a third-party with respect to their intellectual property rights. WARRANTIES. PRODUCTS ARE SOLD ONLY WITH THE 3-YEAR LIMITED WARRANTY DESCRIBED IN THIS SECTION. THIRD-PARTY PRODUCTS ARE SUBJECT ONLY TO THOSE WARRANTIES EXTENDED BY SUCH THIRD PARTIES. EXCEPT WHERE PROHIBITED BY LAW OR AS OTHERWISE PROVIDED HEREIN, Astro hereby expressly disclaims all OTHER warranties either express or implied, including without limitation, THE IMPLIED WARRANTIES OF merchantability, fitness for a particular purpose AND NONINFRINGEMENT. Astro PERSONNEL ARE NOT AUTHORIZED TO ALTER THESE WARRANTIES. Astro warrants that its Products are free from material defects in materials and workmanship, excluding the specific limitations set forth below for a period of three (3) years from the date of delivery. If Buyer discovers a material defect in materials or workmanship of the Products, that would not have been apparent from a reasonable inspection upon delivery, as required by Section 7 hereof, Buyer may make a claim under this provision by sending written notice to Astro immediately, in accordance with Section 19 hereof, upon the appearance of any claimed defect. If Astro, after reasonable inspection, deems a Product defective as a result of a defect in materials or workmanship, Astro, in its sole discretion, shall repair or replace the defective Product at no cost to the Buyer, or may issue Buyer a full refund for the Product, at Astro's sole and exclusive discretion and Astro shall reimburse Buyer for the reasonable out-of-pocket cost of shipping the Product back to Astro. If identical materials are not available at the time of repair or replacement, Astro may substitute materials of comparable quality. Unless otherwise agreed to by Astro in writing, Products repaired or replaced hereunder shall be shipped to Buyer to the original place of delivery. Any alteration of the Products purchased shall render this warranty void. This limited warranty extends only to the original purchaser and shall not cover defects or damages resulting from (i) accident, misuse, abuse, neglect, unusual physical stress, alteration (including, but not limited to purchaser-applied finishes), improper operation, maintenance, handling, storage or installation of the Product; (ii) incorrect or inadequate maintenance, cleaning or care; (iii) normal wear and tear of the Product, including, but not limited to, discoloration, natural weathering of finishes or other cosmetic changes; or (iv) loss of functionality of the Product in highly corrosive environments or due to exposure to conditions beyond performance and design specifications. For the avoidance of doubt, this limited warranty shall not cover any light bulbs or other third-party components of the Products. LIMITATION OF LIABILITY. Notwithstanding anything to the contrary CONTAINED HEREIN, in no event will Astro be liable for any LOSS, DAMAGE OR CLAIM FOR ANY indirect, special, incidental, or consequential LOSS OF PROFITS, LOSS OR REVENUE, DELAY OR damages, whether based on contract, tort, negligence, strict liability, or any other legal theory. IN NO EVENT Shall Astro's Liability EXCEED, IN THE AGGREGATE, THE TOTAL PURCHASE PRICE, IF ANY, RECEIVED BY Astro FOR THE PRODUCTS. THE FOREGOING LIMITATIONS APPLY TO BOTH BUYERS AND BUYER'S CUSTOMERS IF APPLICABLE. REMEDIES. Buyer's failure to comply with the provisions of this Contract, including failure to make a payment when due, shall constitute a breach of contract. 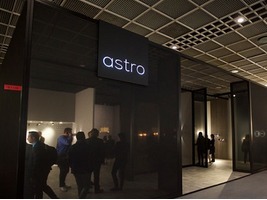 In the event of such breach, in addition to all other rights and remedies Astro may have at law or in equity, Astro shall be entitled to resell any Products in its possession, without liability to Buyer. In effecting any such resale based upon Buyer's breach of this Contract, Astro shall be deemed to act in the capacity of agent on Buyer's behalf. Buyer shall remain liable for any net deficiency on resale and all other amounts owed to Astro, including lost profits, expenses, reasonable attorneys' fees and any other damages permitted by applicable law. INTELLECTUAL PROPERTY RIGHTS. Any sale of Products hereunder shall not convey any express or implied license under any patent, copyright, trademark or other proprietary rights owned or controlled by Astro, whether relating to the Product or any manufacturing process or other matter. All rights under any such patent, copyright, trademark or other proprietary rights are expressly reserved by Astro. Buyer shall indemnify, hold harmless and defend Astro from and against any claim, loss, damage, expense and cost, including, without limitation, reasonable attorney's fees, resulting from or otherwise relating to any claimed infringement of patent, copyright, trademark or other proprietary rights arising out of compliance by Astro with Buyer's Specifications. FORCE MAJEURE. Astro shall not be liable for failure to deliver or for delay in delivery or performance due to: (i) a cause beyond its reasonable control; (ii) an act of God, act or omission of Buyer, act of civil or military authority, governmental priority or other allocation or control, fire, strike or other labor difficulty, riot or other civil disturbance, insolvency or other inability to perform by the manufacturer, delay in transportation; or, (iii) any other commercial impracticability. If such a delay occurs, delivery or performance shall be extended for a period equal to the time lost by reason of delay. PRODUCT SAFETY. Buyer shall be solely responsible for compliance with all laws, rules, regulations and industry safety standards applicable to the distribution, sale and use of the Product supplied by Astro. Buyer shall cause all individuals and entities buying or otherwise obtaining the Product from Buyer to comply with such laws, rules, regulations and industry safety standards. Buyer shall indemnify, hold harmless and defend Astro against any claim, loss, damage, expense and cost, including, without limitation, reasonable attorney's fees and court costs, resulting from or otherwise relating to any claimed failure by Buyer to comply or cause any individual or entity to comply with such laws, rules, regulations and industry safety standards. EXPORT CONTROL. Buyer shall comply fully with all administration and export control laws and regulations of the U.S. government as may be applicable to the export, resale or other disposition of any Product purchased from Astro. APPLICABLE LAW AND FORUM. This Contract shall be governed by the laws of the State of New York without regard to conflicts of law rules. Any disputes hereunder shall be resolved in the courts of the State of New York, County of New York. NOTICES. Any notice required or permitted to be given under these Terms and Conditions shall be made in writing and shall be deemed to have been given (i) if personally delivered, or (ii) if sent by registered or certified mail, postage prepaid, return receipt requested, or (iii) if sent by nationally or internationally recognized delivery service, to the following addresses: if to Astro, to Astro Lighting Inc., 60 Broad Street, Suite 3502, New York, NY 10004 with copy to Tarter Krinsky & Drogin LLP, 1350 Broadway, 11th Floor, New York, NY 10018, attention: Giuliano Iannaccone; if to Buyer, to the address last provided to Astro in writing. Notices shall be deemed to have been received (i) immediately, if personally delivered, or (ii) upon receipt as indicated by the date on the signed receipt, if sent by registered or certified mail, postage prepaid, return receipt requested, or by nationally or internationally recognized delivery service. Either party may from time to time change the address to which notices to it shall be given by giving notice of such change to the other party in the manner provided for herein. GENERAL PROVISIONS. This Contract shall constitute the entire agreement between Astro and Buyer. The invalidity or unenforceability, in whole or in part, of any provision herein shall not affect the validity or enforceability of any other provision of this Contract. The headings contained herein are for purposes of convenience only and shall not control or affect the meaning or construction hereof. This Contract may be signed in one or more counterparts (including by facsimile or e-mail), each of which shall be deemed an original, but all of which shall constitute the same instrument. If you have been provided with a copy of this Contract in any language other than English, such document has been provided to you for convenience purposes only; the English version shall be the controlling version and shall be binding upon the parties. Please evidence your acceptance of the terms and conditions hereof by signing below and returning a signed copy of this document to Astro. Your acceptance of these Terms and Conditions may not be conditioned upon modifications hereof. No modifications of these Terms and Conditions shall be valid without the written approval of Astro.